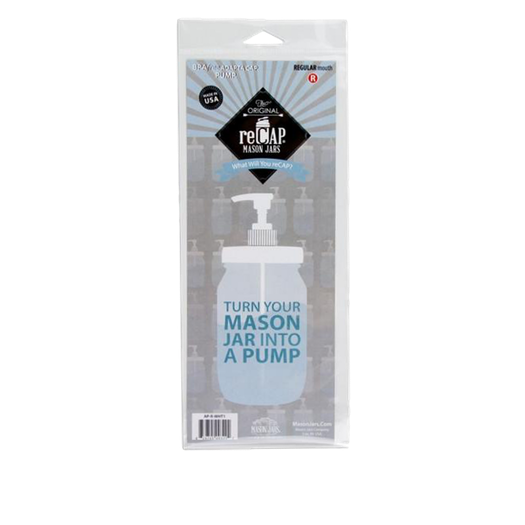 Pump cap fits regular mouth (2.5") Mason jars. Transform your jars into a soap & lotion dispensers. 8" Dip Tube, just cut to size. Made in the USA. Food Safe, Rust Free, BPA-free. Not microwavable. Mason Jar not included. As a retail co-op we sell primarily to our members. Sign up to order. Make your first 2 orders as a guest. To continue to order, join by buying a life-time member share for $10. Though plain zipper lock plastic bag are recyclable, the mixed plastic type used here is not. Place card board in your paper blue box for collection.